Area : 630 sq km. Altitude : 2100 mt to 7817 mt above the sea level. Languages : Hindi, Garhwali & English. Temperature : Max 25.90°C in Summer.Max 12.50°C in Winter. Best Season : April to October. The Nanda Devi National Park is located in the upper Himalayan ranges, a part of the Garhwal Himalayas. Nanda Devi (7817 m) is the second highest peak in India. Some of the most unique high altitude flora and fauna of the world are found in the park. The forest cover in this park is mainly restricted to the Rishi Gorge and the main vegetation is of fir, birch, rhododendron, and juniper. In the inner sanctuary, conditions are drier and near the Nanda Devi Glacier, there is almost no vegetation. 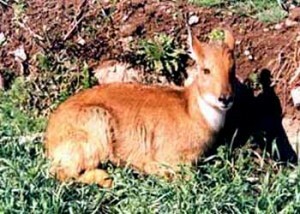 It is the home of bharal, Himalayan tahr, serow, goral, snow leopard, Himalayan black bear, brown bear, leopard, common langur, Himalayan musk deer The park has been declared a World Heritage Site by UNESCO. In 1883 , the first person W.W. Garden reached in this region. Mountain peaks surround it from all sides except the west where it is bounded by an inaccessible gorge. The Nanda Devi peak is considered to be one of the toughest peaks to climb in the world. The entry to the park is from Lata village. This entry was posted in Nandadevi National Park, Uttaranchal and tagged india national park, indian national park, nanda devi national park. Bookmark the permalink.